How to Hire Commercial HVAC Contractor Wisely! 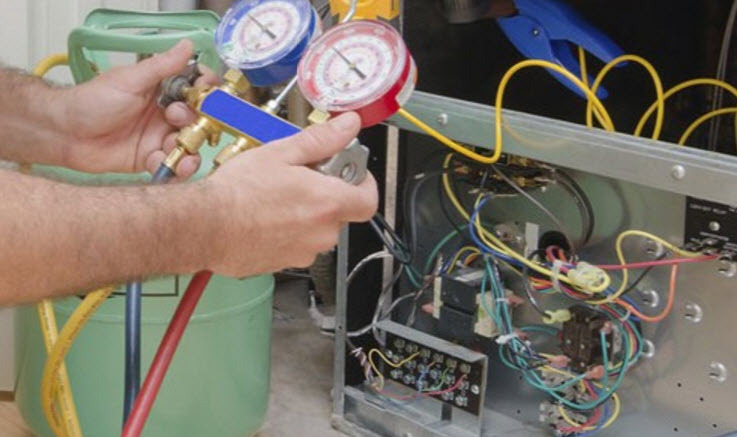 Once an HVAC system is installed it is important to keep it properly maintained by an expert. Companies seeking to have their HVAC systems running efficiently welcome the opportunity to have a dependable HVAC company on their team. The question becomes “How to Hire a Commercial HVAC Contractor”. Choose Your HVAC Contractor Wisely! A good place to start is with your business colleagues, check around and see if you can find some happy business owners that can head you in the right direction. Make sure you are asking not only about price but also quality of work and dependability. Nothing worse than getting caught with a the need for a service and the technician does not show up, or shows up hours late. In this day and age it takes but a few moments to do an online search for references. Yelp and Angie’s list are common places to check. When you are checking these lists you also have to use your own discretion sometimes bad reviews are someone getting even over something that may not have been an issue in the first place. If there is a pattern or a common thread than it is a little easier to take the comments to heart. It is also nice if there are a few to read and not just one or two. Check out the website, look for company information and see if the company is sharing industry information in conjuction with information about the company. If there are videos and recent information you know the contractor is making effort to be a leader in their field. As HVAC systems are complex, cheap prices are not always the best maker. One should go for value comparison instead of making price the prime focus for choosing a HVAC contractor. A commercial HVAC contractor may be offering you low prices and saving you money today, but in the long-term you could end up paying more as a result of short cuts or inferior parts. HVAC systems can be complicated and the contractor with the best price is not always the best decision. In conjunction with the value propostion, check for experience levels with your type of system. Ask if your commercial HVAC is licensed and properly bonded and insured Absense of these basic business requirements could be a red flag. You do want a company that has well trained staff and gives you the comfort that they are serious about being around for the long term to service your company properly. This is one point that you alone will have to make the judgement. Sometimes a company looks good on paper but a face to face meeting may tell it all. There are times that an individual is just not your cup of tea and you know from the start that things will probably not work out. So trust your gut on this one. If you follow these tips you will know how to: “How To Hire A Commercial HVAC Contractor”. The following site also has good information How To Hire A Commercial HVAC Contractor. Click Here.